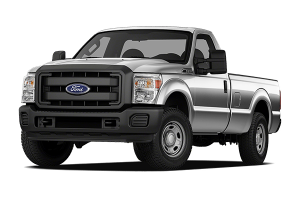 From the Fusion to the Mustang, we have quickly and accurately serviced all makes and models of Ford vehicles. Our auto mechanics are skilled and competent. We make sure to get the job done right the first time. Because we are confident in our work, we offer Ford owners the 3x warranty (3 years on both parts and labor). This warranty is one of the best in the industry. However, excellent craftsmanship under the hood is only one piece of the puzzle. Personable and engaging customer service is also a must. Our team aims to develop lasting relationships with our clients. We want to see you, your children or even your grandchildren pass through our doors as customers. Our reputation for both excellent Ford service and heartfelt customer service precedes us. AutoPro Auto Service is the Angie’s List Super Service Award winner. To schedule an appointment for car repair, call us at (763) 703-6172. We are located at 7901 W. River Road in Brooklyn Park, MN 55444.